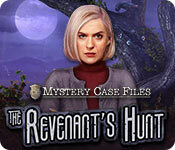 Our Mystery Case Files: The Revenant’s Hunt Walkthrough is filled with simple instructions & colorful screen shots to help you solve this challenging hidden objects adventure! Take a look at our Mystery Case Files The Revenant’s Hunt Walkthrough to guide you through this latest spine tingling saga of the Mystery Case Files series. Filled with vibrantly colored screen shots and simple instruction, we will guide you through the sleepy town of Avondel, Vermont. Urban legends have come true in the most horrific way possible – there is a serial killer on the loose. But, not just any serial killer, a supernatural serial killer! Look to us to help you solve the numerous challenging mini games and hidden object areas throughout the game to solve this murderous conundrum.